Monitor temperatures with Testo Saveris. 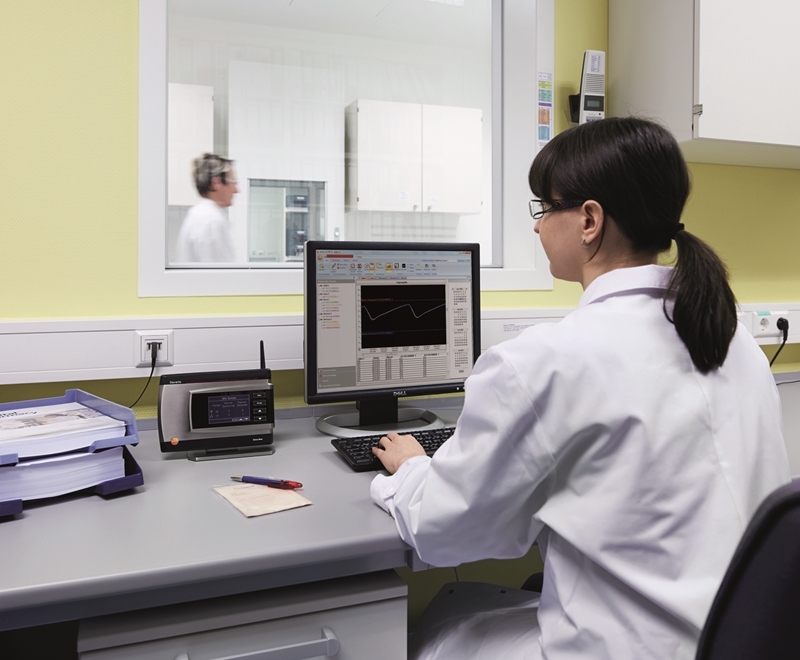 In laboratories and hospitals, temperature values have the highest priority. The cold storage, in deep freezers and refrigerators, of medicines, vaccines, laboratory samples, blood products, tissue samples and bio samples, need defined constant storage temperatures, in order not to be compromised. Without constant temperature monitoring the risk of loss is greatly increased. The losses can have a significant monetary value in insurance claims and impact on research continuity. These losses maybe from a few thousand dollars up to several million dollars, but more importantly any loss can significantly disrupt the continuity of the biomedical and scientific research or waste invaluable blood and other medical samples. This can directly impact the progress of scientific research, the research scientists, research students, research output, funding bodies, research partners and even the general community. The University has a considerable amount of research bio-samples that are stored in a variety of cold storage facilities. Cold storage facilities are located across many faculties, departments, hospital departments and research institutions that make up the university. 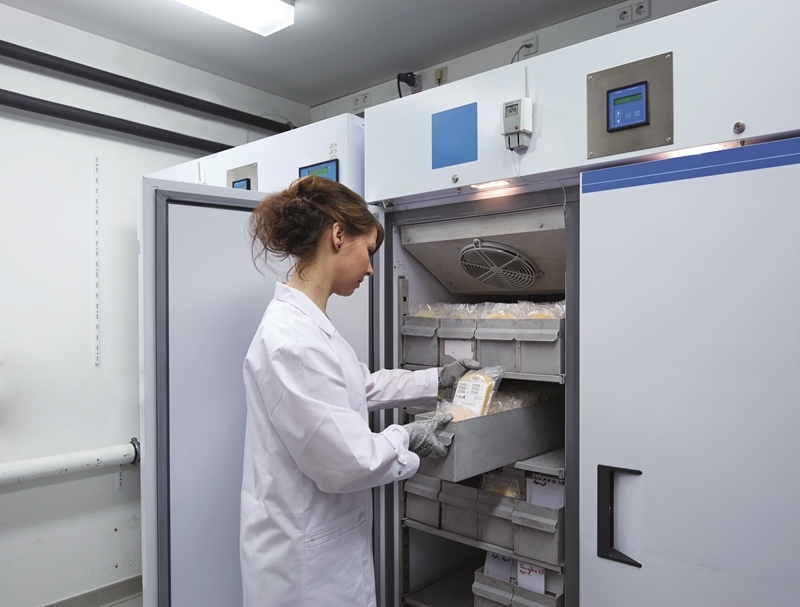 Many bio-samples are stored in scientific ultra-cold freezers, laboratory and domestic type fridges and freezers, cool rooms and freezer rooms and a variety of liquid nitrogen storage vessels. Some of these have local temperature monitoring devices and alarms, but the majority do not. The University and in particular research groups would not want to suffer significant losses to their research if a cold storage facility that contained their research biomaterials failed. This could result in substantial losses not only in research material but it could amount to millions of dollars. The monitoring and alarm system forms a key part of a freezer/cold storage management system that the University of Melbourne is developing. The monitoring and alarm system will allow Melbourne University to keep a check on the operating conditions of the many cold storage facilities it has. In the first instance the monitoring and alarm system will be used to monitor fridges and freezers across the University. This system will allow for the collection of temperature data and temperature monitoring for each individual cold storage facility. The collected data will also be useful for facilities management; for preventative maintenance programs and, more sustainable and efficient energy use of cold storage facilities. Fridge and freezer units can be adjusted to their optimal operating temperatures. The collected data can also be used by researchers to verify that their cold stored biomaterials are stored at the required temperatures. The alarm feature of the system will notify key personnel within the University when significant temperature changes occur in individual fridges or freezers. The temperature changes could adversely affect the research biomaterials or even indicate the failure of the cold storage equipment. The alarm will allow key staff to take preventative action before the biosamples are significantly affected by changes in temperature. The system will provide the researchers with information about the condition of their fridges and freezers, but more importantly it will send out an alarm when there is a problem with the temperature of their valuable cold stored research samples. In the event of a cold storage facility failure, the alarm feature will give the researchers every opportunity to save valuable research biomaterials and prevent losses to their research. 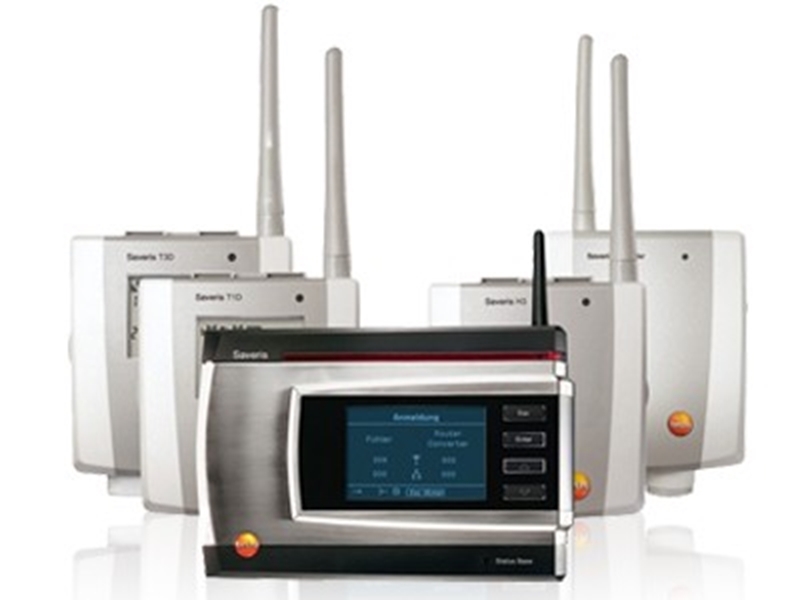 The Testo Saveris system is a flexible off-the-shelf monitoring and alarm system that is designed for easy installation and operation. It is designed to monitor and collect data for reporting, while sending notification alarms, with software that is easy to use. The system is flexible "local wireless networks" (probes and converters), together with communication "over the internet" (converters and base-station) for monitoring and alarm transmission. The system only requires a small number of dedicated IP addresses for a large number of monitoring points. Saveris monitoring probes can easily be re-assigned, if a laboratory is relocated or a fridge or freezer needs to be relocated or replaced. The Saveris system is a cost effective system compared to a number of other commercially available systems. Testo Saveris is supported by a solely owned subsidiary of testo AG – Germany in Australia (testo Pty Ltd). It is important for customers to have equipment such as the Saveris monitoring system supported by a local professional team of sales and service staff with direct access to the manufacturer.